In this talk, I will sketch out two challenging research topics by showing computer generated visual materials. One is raster-graphics technologies on how to represent large-scale natural sceneries, and the other is laser projection technologies enabling us to display large-scale vector graphics. The former topic includes the modeling and rendering techniques having the both abilities of LOD (Level-Of- Detail) and anti-aliasing indispensable for efficiently and effectively representing large-scale scenes including a huge amount of fine objects like botanical trees, and the efficient real-time animation techniques implemented by utilizing 1/f - noise for defeating the computational time required for strict physically-based simulation. The latter topic is the exploratory research on laser projection where there is almost no researcher yet. 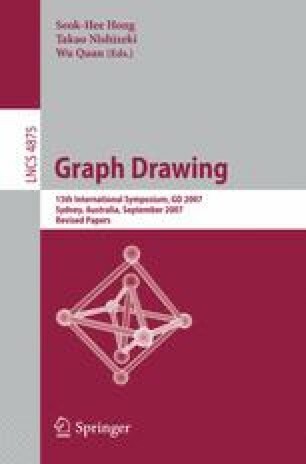 Laser graphics has strong relation to pen and ink illustration in the field of NPR (Non-Photorealistic-Rendering) and might be usable to represent Graph Drawing.